Honduras is a place that's close to my heart--it's where my best friend and her husband live, and I've had three magical visits there. Honduras is also one of the most dangerous countries in the world, with an incredibly high crime rate, political unrest, and and all manner of resulting socioeconomic issues. It's the last place one would expect to find gorgeously simple, sustainable wooden building blocks that kids go nuts for, but it just goes to show that there's always a ray of hope. 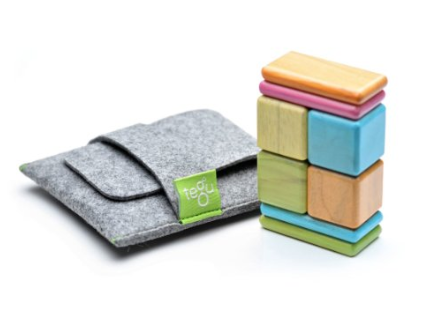 These Tegu Tints blocks are pretty amazing--they have imbedded magnets, which make them easy for young kids to play with. They're non-toxic (coated with water-based lacquer) and contain no lead or plastic; the wood is sustainably sourced and, even more importantly, the company provides much-needed jobs and child education (as well as tree planting) to Hondurans. On an more immediate level, the blocks are brightly colored, easy for kids to grip, and packable in a cute little felt pouch that's included. (They also come in more ambitious 22-piece, 26-piece, 40-piece, or 52-piece sets.) 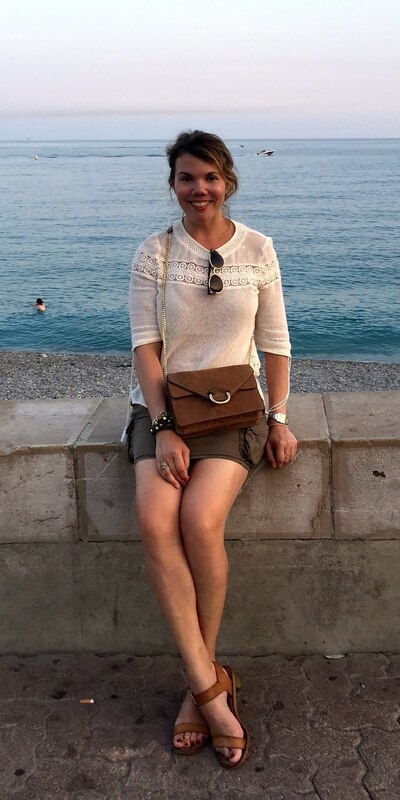 And on an even more personal note, the co-founder of the company is married to a woman I went to grade school with (not the aforementioned best friend), proving that no matter how big the world is, it's a lot smaller than you think. And I love that.